CMN recently chatted with Harley Quinn artist and writer Amanda Conner at Planet ComiCon in Kansas City, and was able to email questions about the series to creators Conner and Jimmy Palmiotti about how the series has gone and changes with the launch of “Rebirth” and debut of the “Suicide Squad” film. In the comic series, Harley has taken residence on Coney Island, located in the New York City borough of Brooklyn. She has a new storyline adjusting to real life with a part-time job as a psychiatrist and has frequent visits from fellow DC villain Poison Ivy. Through her journey, she ends up in a fist fight with Joker at Arkham Asylum back in Gotham City. Palmiotti dished on how far Harley has come since her days as Joker’s on-gain off-again love interest and side kick. Many characters across the DC storylines are getting changes with “Rebirth,” but for fans of the Harley Quinn DC52 run, Palmiotti said not much is changing. When it comes to the convergence of different platforms, such as DC’s comics and movies, Palmiotti made a point that not every medium can portray a story in a certain way. 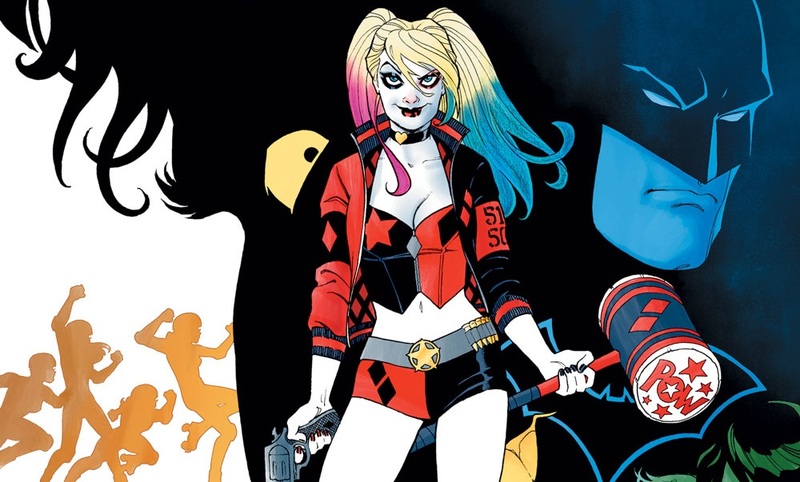 While in the comics, Harley had a makeover that made her hair match that of Robbie’s portrayal in “Suicide Squad.” However, each entity should be able to stand on its own. Conner had some insight into writing a character who lives in a real-world place as storied as Coney Island versus life in fictional cities such as Gotham. Through the Harley Quinn comics, fans have seen the character evolve from a silly sidekick character into a fierce villain and then into somewhat of an unlikely hero in the DC52 run. Throughout the run there have been appearances not only by Ivy, but also by different DC heroes such as Power Girl and Batman. Conner offered some insight into finding the motivations behind Harley’s character. Harley Quinn appears in “Harley Quinn Rebirth #1” available Aug. 3 as well as the “Suicide Squad” film in theaters Aug. 5. For more from Palmiotti and Conner, visit PaperFilms.com.